We received the "cutest" headphones for children. My older daughter owns a set of headphones from CozyPhones that she wears jogging and when she takes "naps". Read the review here. She used hers last year on the cruise. Now we are trying a pair of the children's CozyPhones. I am not doing this review from the child's point of view, but from the adult purchasing them. I know most children will think they are cute, but let's get some facts here. 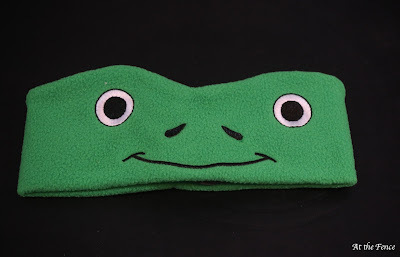 Ok, I admit first of all CozyPhones are adorable and they have several different animals to choose from. They have recently come out with Paw Patrol as well. 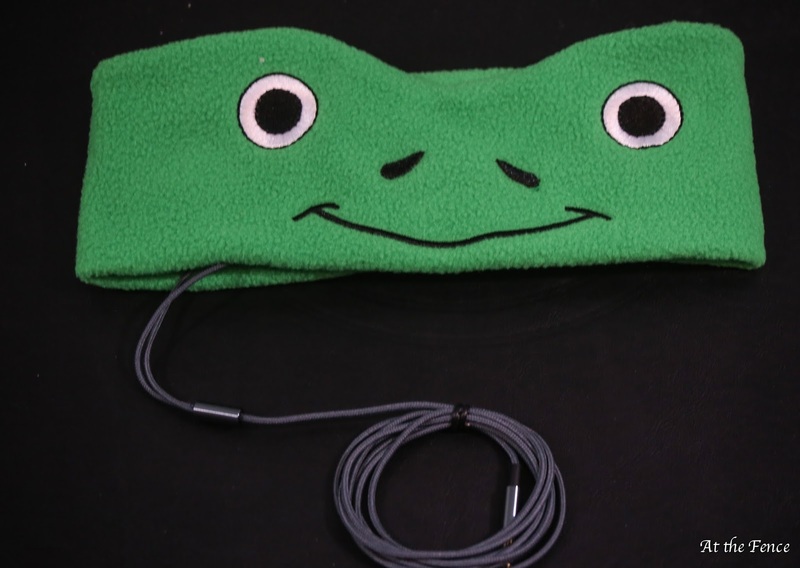 The headband that the speakers fit into is super soft, made of fleece. There is a tiny opening inside the back of the headband, where you can insert/remove the speakers as needed. The other nice benefit here is that you can move the speakers to the proper position for your child. There is nothing like purchasing an item like this, and then they do not fit properly. You will not have that problem with CozyPhones as you can adjust their position. The headband is especially nice for children who do not like earbuds, or who have trouble keeping them in their ears. CozyPhones have a 36" braided cord and a 3.5 mm stereo plug. Another nice thing about these headphones is the actual headband can be washed if necessary. Simply remove the speakers, wash the headband according to instructions (found on the website) and then after they are dry, replace the speakers and you are good to go. 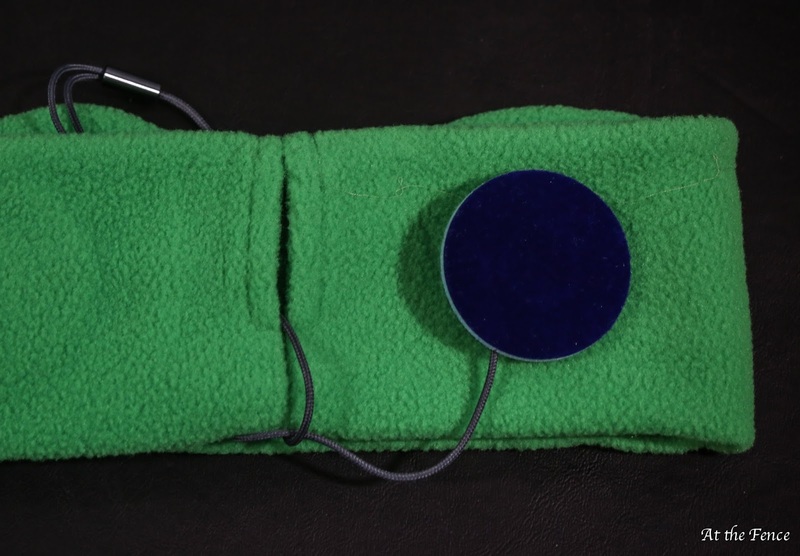 The CozyPhones also have a decibel limit of 85 decibels. Presently they do not have Bluetooth CozyPhones for children, but they do have an adult version. The CozyPhones are great for road trips!! 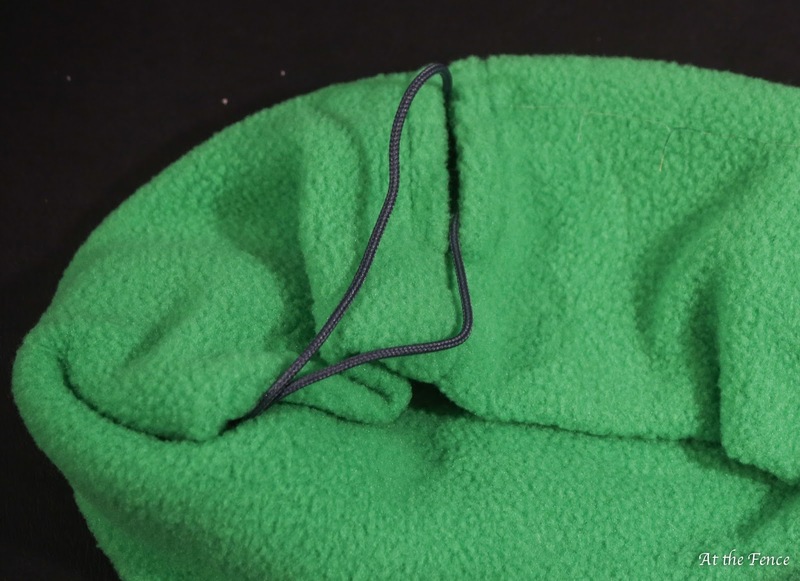 Nice in the winter too as they help keep little ears warm! These would make a great gift for just about any young child. Our family highly recommends CozyPhones, both the children's and as stated above my daughter has an adult pair. Be sure to follow CozyPhones on their social media pages. One neighbors will receive a CozyPhones headset. Thanks for stopping by today!! See you soon!! I am sure most of you are presently preparing for the upcoming holidays. Part of this preparation includes cleaning the home. Grab Green recently sent me a box of samples. We opened the box to find laundry detergent pods, dryer sheets, dish soap, dishwashing pods, hand soap, room freshener and all purpose cleaner. Grab Green is, as it's name states, a company that has focused on finding healthier, more effective and safer cleaning products for your home and family. Their formulas are non toxic and thus safer for your family. I have one daughter who reacts to different soaps and detergents, so I am on the lookout for better products that will not cause her to react. So, back to the topic at hand. If you are having family and friends over for the holiday, you will be doing some extra cleaning. Bedding will need washed if you have company that will be staying overnight, as well as washing towels. You will most likely be pulling out your best dishes that may not have been used in awhile, so you will want to give them a good washing. Grab your Grab Green Dishwashing Detergent Pods. You can use an their All Purpose Cleaner, Tangerine with Lemongrass, to do a little extra cleaning. When you get done cleaning the bathroom, you can put out a nice bottle of Thyme with Fig Leaf Hand Soap. Grab Green has all these products and more. You can give your home a good cleaning, knowing that you are not using a lot of toxic, chemical filled products. I often use the room freshener right before we have company. We have pets and I try to make sure our home does not smell like a dog house! So, if you are looking for some great products that are healthier for your family, check out Grab Green! Here is a unique idea as the holidays approach. Take time at lunch or supper to turn off the tv, put away the phones and spend some time talking with each other. 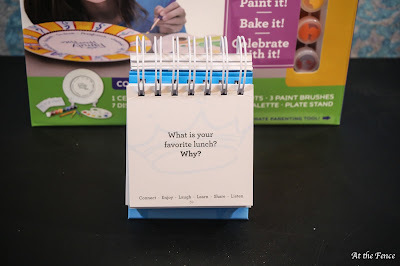 Let's Talk - Table Thyme, from Family Honor Plate, encourages families to spend mealtimes talking. 1. Describe a time when you were scared. 2. Share something that happened today that you are grateful for. 3. Do you prefer sunny or snowy vacations? 4. When is it the most peaceful in your home? Leave the cards on or near your dining table, so they are easy to access and remember. Let's Talk will help start conversations, and help you to create fun memories of sitting at the table talking with each other. It will encourage your children to express themselves to others. We also received one of the Family Honor Plate Paint Kits. 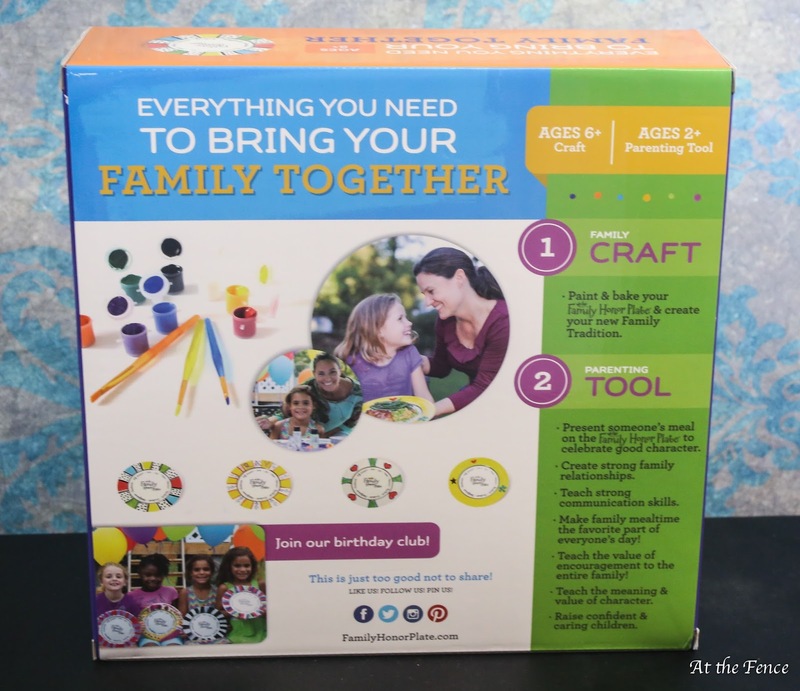 This is a kit that allows your child to paint a plate. Adult supervision is required as the plate needs baked. 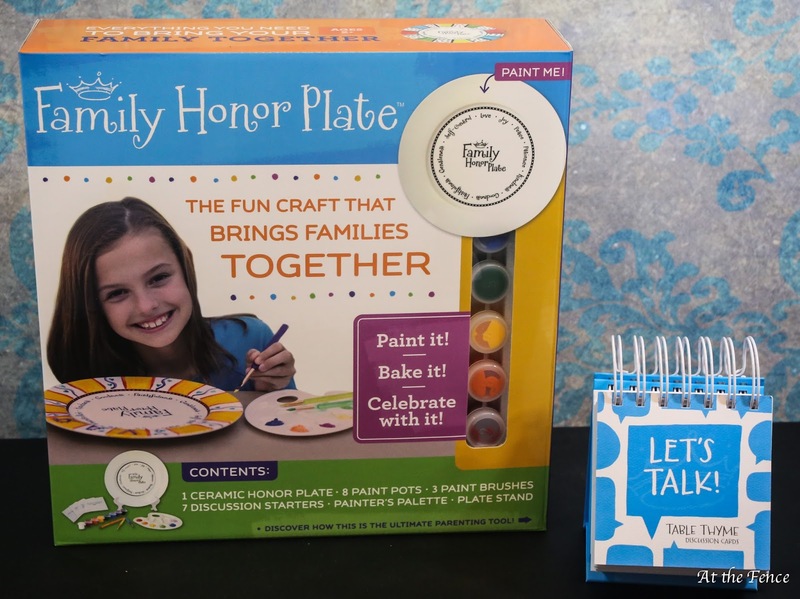 The Family Honor Plate can be used to teach encouragement in the family. Serve one person with the plate during meals to honor a positive character trait. Use the meal time to positively influence each other. The kit comes with a plate, 8 paints, 3 paint brushes, painter's palette, plate stand and 7 discussion cards. Consider one or both of these items as a holiday gift! See you soon! 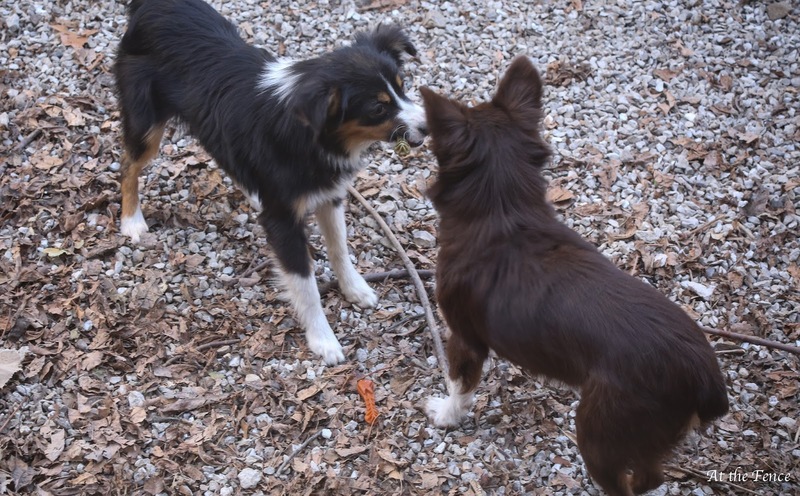 My pups LOVE Whimzees! 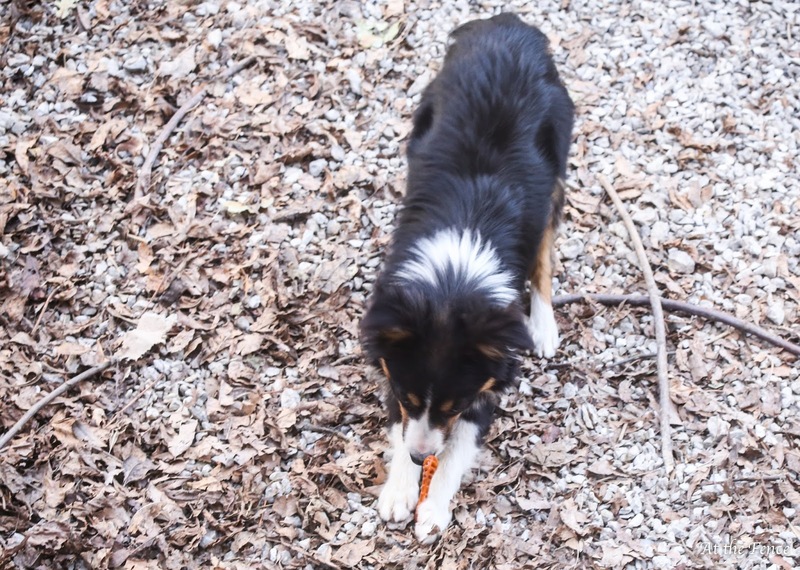 We get the extra small Brushzees for the Toy Aussies. They are allowed one a day. 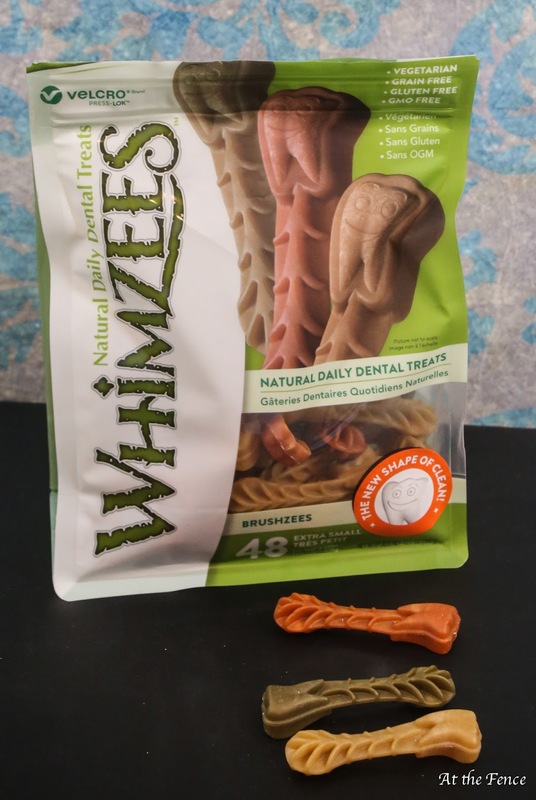 The Whimzees are dental chews to help keep your dog's teeth clean. They help to remove plaque and tartar. We have tried some of their other shapes in the past with some of our other dogs. They have alligators, hedgehogs, crossbones, ears and stix, just to name a few. 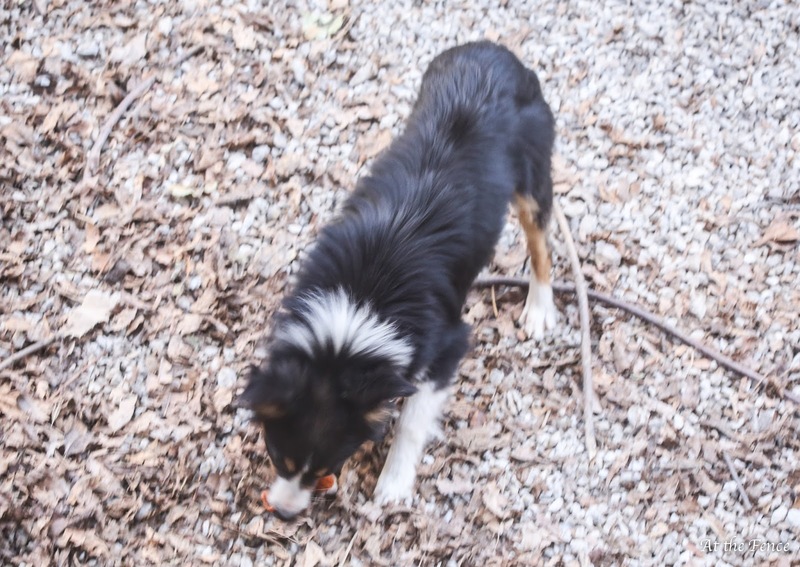 You will also find them in several different sizes so no matter the size of your pet, you will find the perfect one. Above is Brooklyn anxiously awaiting her Whimzee. 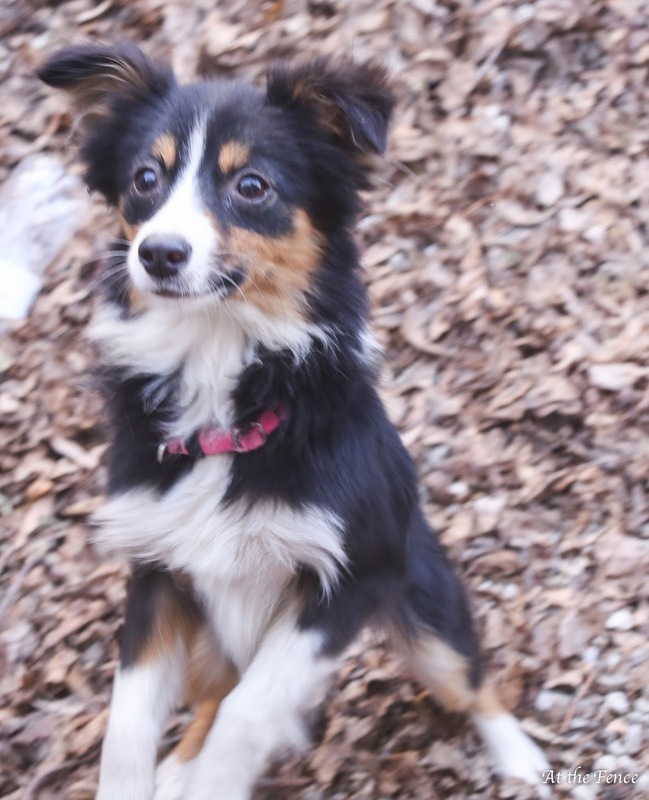 The picture blurred some, because she would not stop jumping up and down. She is quite happy to get her "treat" this morning. 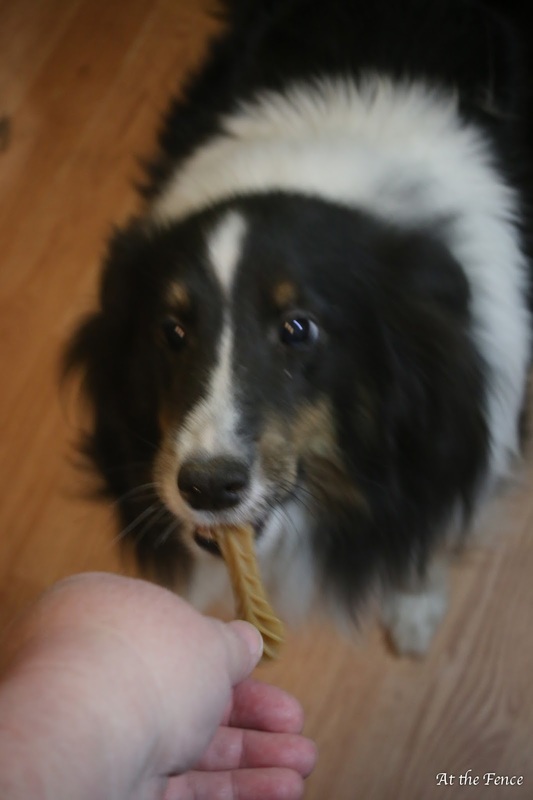 To her it is a treat, but I know it is helping to clean her teeth. In the picture above, I gave each of them a Whimzees, and they both wanted the same one. You can see the second at their feet. Whimzees are made in Holland of natural ingredients. There are six main ingredients, Potato Starch, Glycerin, Powdered Cellulose, Lecithin, Malt Extract, and Yeast. You can read more about their ingredients on their website. Needless to say, Brooklyn and our other little ones all love their Whimzee Dental Chews. Pick up a pack for your pet!! Make it a holiday gift! 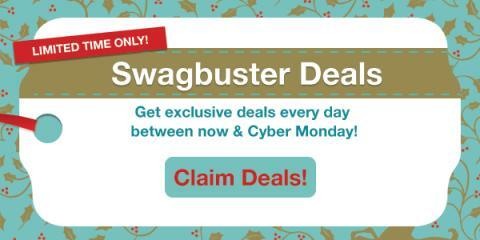 If you haven't tried Swagbucks before, you can get a bonus $3 for signing up as my referral during December. Swagbucks is a rewards site where you earn points (called SB) for things you're probably doing online already, like searching, watching videos, discovering deals, and taking surveys. Then you take those points and exchange them for gift cards to places like Amazon, Starbucks, Walmart, or PayPal cash. That's it. It's super easy, and Swagbucks is for real. I use it myself, and I've earned several gift cards and presently have 3000 points in my account. Seriously easy to use!! It may sound like a real obvious question, but once you start to think about it your answer may not be as plain and simple as you once thought. Do we really take good care of ourselves? Honestly, do you? At this time of year especially, we can start to see people struggling with common colds and illnesses, it’s a time of year where people get stressed out, or feel emotional. It’s a time of year of reflection, of looking forward to the new year ahead. Often, in so many situations and circumstances we can put ourselves right at the back of the priority list as we focus on others, on the festive period and our commitments. It’s now time to think about yourself. I wanted to share with you some of the ways you can take good care of yourself. Your mental health is a huge part of our daily lives and we don’t realise that actually we need to take better care of our mental health. Especially at this time of year, things can get stressful and you can feel overwhelmed with just your ever growing to do list. Mental health issues can come in different ways. It may appear as anxiety symptoms, depression, stress, or simply feeling like you have too much going on. All of which can have a negative effect on your thought process. Instead, why not focus on your thoughts and start to feel grateful for all the good things happening. Don’t focus too much on the stress of the holiday period and instead enjoy it. Another thing to think about would be taking care of our eyesight and hearing. These are two senses we have that are often take for granted. Yet, if they were to disappear entirely we would be at a loss. Don't think, maybe next year I can focus on taking better care of these things. How do you protect your eyes? How do you take care of your hearing? The thing is, it’s just about noticing changes and making sure you take action at your earliest convenience, instead of putting things off which we can often do. Get a check-up. Another thing to think about is our physical health and activity. We can all become concerned about other people's health and pay little attention to our own. Are we exercising enough? Could we be more active? Could we be outside more in the fresh air walking instead of choosing to drive somewhere or taking other transport options? These things are about a choice, and choosing to take better care of yourself physically could give you a whole host of benefits such as more energy and better quality of sleep. Finally, focusing on your diet is a great way to take better care of yourselves. Maybe just changing what you eat, maybe cutting out some of the bad stuff, can be a great way to focus on your diet and improve your health. It is more about sustainability than a crazy diet to lose a few pounds. I hope this has inspired you to consider yourself more in the future. 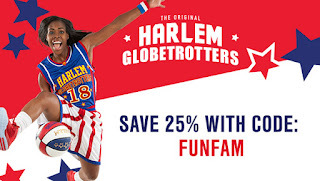 Anyone interested in attending a Harlem Globetrotters game? 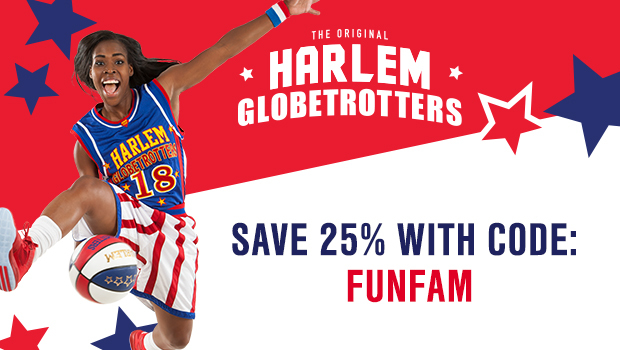 If so, you might be interested in a 25% discount on your tickets. Check out the information below. As a mom, it’s safe to say that your family’s happiness is the most important thing to you, that and their health levels. So, of course, you’re going to want to make sure that you do what you can to keep everyone healthy and laughing at the same time. This can often be easier said than done, because we have to face picky eaters and lazy bones, a busy schedule and also be faced with not really knowing what to do for the best. That only has to be temporary. You can certainly ensure that you all live healthier lives, just by making a few simple tweaks. And no, that doesn’t just mean that you all have to start jogging as a family and eating kale (although that may help if you want a big boost). We’re going to talk through everything from your physical health to a healthy home and provide you with tips on how yo make it happen. First of all, we’re going to look at tackling your physical health, and the health of your family too. Because if you want to be happy, you need to ensure that everyone is healthy too. When you’re all feeling great, it’s easy to just assume that you’re in good health. But that’s not always going to be the case. In fact, you may not know that you or your family members are sick unless you get regular checkups. This is especially the case when it comes to your children. So schedule in the checkups you need. You’ll find lists on kidshealth.org if you’re not sure on what checkups they need and when. Also be sure that you see your doctor and dentist at least once a year too. When it comes to the food you all eat, you don’t necessarily have to go cold turkey, eat super clean all of the time and cut out dessert. That’s not usually the most efficient way to go about things. Instead, you should aim to be balanced. Cutting out doesn’t usually work. Instead, focusing on balanced, nutritious, homemade meals is what you need to do. With children, you can’t always just assume that they’re as healthy and hygienic as they should be. At the same time, you can’t control this forever. But what you can do, is ensure that you instil some good hygiene habits in them where you can. While you may have good bathroom practices down, you should also ensure that they do the same with their nails, hands, and keep their teeth clean too. You may not have time to all become avid triathlon competitors (nor may you actually want to), but you should commit to trying to move around a bit more as a minimum. You don’t have to do bootcamps or sunrise yoga to be healthy. You just have to stay active as a family. Go for hikes and bike rides, or just run around in the garden and you’ll be doing your bit. If you like to walk, consider a pair of nordic poles to improve the benefits of your walk. Sometimes, you can enjoy great physical health levels and still not feel quite right. When that’s the case, you’re going to want to ensure you tackle your mental and emotional health too. Stress can be so harsh on all of your levels of health. So you’re going to want to try and keep it away for as long as you can. If you do tend to suffer from a lot of stress, then these tips on skillsyouneed.com should really help you out. From avoiding things that worry you, to learning how to deal with anxiety, this will help you all to live healthier lives. This is why it’s important for all of you to take some time out. When the world gets too much, you need to learn to step back. Listening to your body is the best way to do this. Whether you’re taking on too many chores at home or your kids are doing too many classes, timeout can help your mental state stay healthy. If your family isn’t that great at communicating, then you’re likely to find that you may suffer with more stress, because family communication is important. Not only in your relationship with your husband, but also with your kids too. When you communicate effectively, you can often look to help with whatever it is that’s bothering them or upsetting them, and work through it together. It’s the idea of spending time together that can really ensure that you all stay healthy. It’s so easy for your children to feel pushed aside, or unloved, even if that’s not the case. So you need to be able to make time for them, and your family as a whole. Plan in family movie nights or game night, just so you can spend some quality time together. And what about your home? Let’s take a look at the ways that you can ensure your home is a healthy place to live, and that it facilitates your family’s happiness too. As a mom, you’re probably all too aware of how important it is to ensure that your home is clean. You’ll also know that at times, it’s hard to do that, because your kids can be enough work to keep track of. If you want to ensure that your home is healthy, you have to keep things clean. If you’re busy, and you also work, you should think about coming up with a cleaning schedule that will be easy for you to manage, and easier to execute too. While you’re at it, you may also want to think about using products that are a lot safer around the home too. For this, go to cleanhappens.com for info on friendly products for your laundry to get you started. You should also think about using fewer chemicals while cleaning home surfaces, so it doesn’t affect your family’s health too. Don’t you just hate that whenever you’ve finished a big clean, more clutter will appear? It seems to be the way with family life. Lots of clutter can be bad for your health. So if things are building up, you need to have a huge clear out. Doing this will help to ensure you’re all less stressed and distracted. Not everything around the home has to be changed because it’s a threat. Some things can be changed for the better. In fact, you should have fun with this point. The idea is to ensure your home can facilitate your family’s happiness. So go ahead and create the movie room you’ve always wanted out of that (now clutter-free) spare room. Or a nice little library for the kids. Whatever it is, make the change - your home should always add to your health and happiness. Finally, you’re going to want to work on finding a healthy life balance for everyone. Because this is often the key to feeling happy and healthy overall. Having a balance is all about finding the right middle ground. And this means not working too many hours for you, and not studying for too long for your kids. It’s essential that you can all work out what your manageable hours are if you’re going to enjoy healthy and happy lifestyles. It may take time, but you should find working hours that you feel comfortable with, and they need to not be too exhausted with their workload too. At the same time, you have to be able to switch off too. This links in with the idea of taking time out to benefit your mental health too. You all need to ensure that you can switch off come evening time, and these ideas on inc.com might just help with that. Don’t let your kids do homework and practice all night and weekend either, they need to let off steam too. You might be a mom, but you’re also a person. So you need to ensure that you can find a healthy balance between you as a person and you as a mom. That’s where mom's daily me time should come in. You don’t have to make a big deal out of this, but you do have to do it. You have to ensure that you get some time to regroup, otherwise, you may lose yourself in being a mom and in the long run, that can harm all aspects of your health. And you all need to ensure that you can enjoy the things you love in life too. Whether it’s your favorite pie or a vacation in the sun, you need to plan in fun indulgences that you can all enjoy that will help your mental health and allow you to find an enjoyable balance. When you are in the process of selling your home, there is one phrase you will read over and over when you consult advice guides: curb appeal. Curb appeal is a phrase that has been coined to describe the way that your house looks from the outside; from the curb, in essence. If first impressions are important, then getting curb appeal right is essential-- this is the first glimpse that potential buyers will have of your property, so you have to ensure that it’s impressive. What Constitutes ‘Good’ Curb Appeal? The way the driveway looks; how even it is; whether there are any weeds growing between paving slabs, and so on and so forth. The way your house exterior itself looks; the brickwork and siding; the appearance of the windows. The front yard -- if applicable; obviously this would not apply to condos -- and how well-maintained and landscaped it is. The overall impression of how good a house looks at first sight; does it appear to be well-maintained or is it rundown? Does it want you to peer inside for a closer look or walk in the opposite direction? When you’re selling your home, you will have no end of expenses that you have to find the funds for. Giving the exterior of your home a makeover is yet another demand on your funds. There are so many improvements you may have to make, particularly if you have largely neglected the exterior of your house for years. You might need a professional landscaper for the garden; the likes of Dependable Home Services to improve the siding; and a thorough professional jet wash to bring everything up to scratch. As good as these improvements look, are they really that important? The truth is, it depends. For some potential buyers, curb appeal will be very important, and they will be deterred from buying a house if the curb appeal is not to their liking. Other buyers won’t particularly care, and are more interested in the internal layout. Should You Focus On Curb Appeal? This question can only be answered if you consider how much of a risk you are willing to take. If you want to sell your home quickly, then you’re going to need your property to appeal to as many buyers as possible. That means you might need to make a few investments to help improve the exterior of your home. If you have got time to wait, however, then you can leave aside curb appeal if your funds won’t stretch to such measures. Make the improvements you can within budget, then just hope the right buyer comes along. You might be in for a long wait, but if you’re not in a hurry to move, that’s time you can afford. Hopefully, the above has helped shed some light on this often-confusing issue, and you’re able to make the right decision for your home. Good luck with selling your property! How many of you have a hard to shop for guy in your life? There are actually two in my family; my dad and one of my brothers are extremely hard to find that perfect gift for. 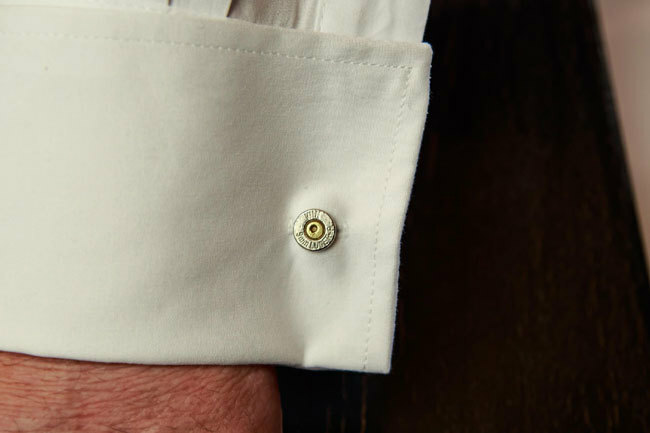 Well, instead of settling for a new tie and pocket square set or yet another coffee mug he doesn't need, you need to check out Ricochet Rounds, home of bullet and ammo gifts for guys and gals alike! 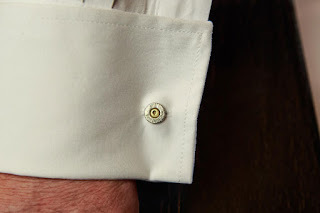 I received a set of Bullet Cufflinks for review from Ricochet Rounds. These are available in three different ammo types; 12 gauge and 20 gauge shotgun, 40, 45, and 9mm. I got the 9mm, which come in your choice of nickel/silver or brass/gold. These are made from fired bullets, and are easily one of the coolest gift ideas I've ever seen! Classy, well made, and definitely a gift that stands out-and will make your man stand out while wearing them! These come nicely packaged in a small box, ready to wrap or gift as-is. You don't have to stop with just the cufflinks, though. You can actually put together a gift set of men's bullet accessories from Ricochet Rounds this holiday season. Bullet keychains, bullet tie tacks/hat pins, bullet bracelets, and bracelet money clips are also available. You can get your husband, son, brother, dad, or friend a complete bullet accessory set and watch their amazement when they open the package! Ladies, don't feel left out with all these great gift ideas for the men. 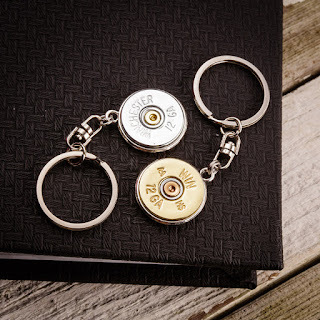 Ricochet Rounds also has a great selection of bullet necklaces, bracelets, rings, earrings and more for yourself or any lady you know who enjoys shooting. Check out the selection and order your holiday gifts today! Any guesses what that title is about? Perhaps the picture gives it away. We suppose that saying caring too much is a mistake can be applied to a wide variety of circumstances. There is one occurence where caring too much will have truly devastating consequences. We’re talking about coping with an elderly parent. Once you reach a certain age, you’ll find that your parents need you more frequently. They might have medical issues that put them in hospital frequently. They could develop a condition like a stroke that might impact their ability to communicate. They may even develop dementia, forgetting who you are and who they are. It’s not a particularly pleasant thing to think about but it is something that we’re all going to probably have to deal with at some point or another. 1 in 6 people over the age of eighty have Dementia so these issues with elderly parents are alarmingly common. So, why then would we say that caring too much can be the worst mistake when coping with an elderly patient. If you care too much, you’re going to try to step up, do what you think you should and let them move into your home. There are a number of crucial reasons why this is a mistake. It’s understandable to want to be there to support your parent or even feel like you have a duty to do this. After all, they certainly cared for you when you were younger. So, why wouldn’t you want to care for them? Why wouldn’t you help them in their time of need? The answer to these completely reasonable questions is that it will change every aspect of your relationship with the parent. They could even grow to resent you because you’ll have to take the hard jobs and yes, in some cases, even treat them as you would a child. This can be difficult for a parent. Many children have experienced what it’s like to become the carer of someone who used to be their world. It is not an easy experience and that’s ignoring completely the drain that this could ultimately be on your life. You might think that by letting your elderly parent live with you, you are providing them with a constant source of company and someone who they can socialise with. But are you actually? Think about it for a moment because usually when parents need this kind of care, you won’t be retired. You’ll still be in the midst of your life and that means you won’t be in all day, neither will your partners and even if you have children at school age, they will only be able to help so much. Most of the time they will be in school and after that they will have their own life to live. Of course, the other option is that you give up your life and instead commit to caring for your parent completely. But again, you’re going to find that this is an enormous drain on who you are and where you want to be. It might seem odd but elderly parents are often better off in assisted living environments because there they do have people to socialize with. They have activities through the day and they can connect with people their own age. There are plenty of assisted living companies like Mcknight Place that offer these possibilities. You can contact Mcknight Place to find out more about the type of socializing available here and other things like this that an elderly parent just can’t get living with you. You might decide to care for an elderly parent with Dementia. It’s important to understand how dangerous this can be. If they are not aware of their surroundings or forget who they are, they can put you, your family and themselves in serious danger. Those suffering from dementia have been known to start fires accidentally, fall down the stairs after forgetting they were there and even get hit by cars in the street. Bare in mind that these type of dangers don’t just apply to elderly parents with dementia. Anyone over eighty is vulnerable when it comes to trips, slips and falls. These can happen at anytime. While they may still occur in an assisted living environment they are far less likely because the environment is set up in a way to avoid these types of accidents. The twilight years should be some of the best of your life. It should be a chance time you can relax free from the pressures of the world and just enjoy the slow life. However, elderly parents who either stay in their home or live with their relatives tend to end up in a vicious cycle. An accident happens that is enough for them to end up in hospital. They recover partially and are sent home where due to their more vulnerable state another accident happens. After being taken home again, they are completely bedridden and their quality of life is drastically limited. This can be avoided if they receive the right care and attention in the right environment before they reach this stage. If possible it is best to have your parents at home, but sometimes their care may be too much and you have to opt for something else. The problem here is we often think that by either helping them stay at home or moving them into our home, it shows the highest level of care. We’re doing the right thing, we’re giving them their independence or providing the support they need. When in fact the opposite can be true. Ultimately, keeping an elderly parent away from a proper care facility can be more damaging. This won’t be true in every case of course but the majority of the time, doing something that seems less caring could actually be what’s best for your elderly parent. Particularly if you want them to have the quality of life in their later years that they do indeed deserve.